Humans of Urban Yoga is an occasional look at the students, teachers and staff at our yoga studio. I feel so blessed for having been given the gig of boutique manager. There’s so much peace and magic in this space. It’s my peaceful place. I want to keep people here a little longer. My main objective is to get as many local artists and artisans as I can to share their work, their art, their souls with our students— paintings, photography, fashions, rotating artwork—similar to a local Etsy. I think what we’re still missing in the boutique is men’s and women’s clothing in an array of sizes and styles. A lot of people shy away from yoga because they don’t think yoga is for every body. It is. It’s a nonjudgemental zone. I’ve been designing jewelry for 7 years. But I began my career much earlier than that. I was always artistic—I loved to paint and draw and crochet and do anything creative—and even as a child I collected stones. 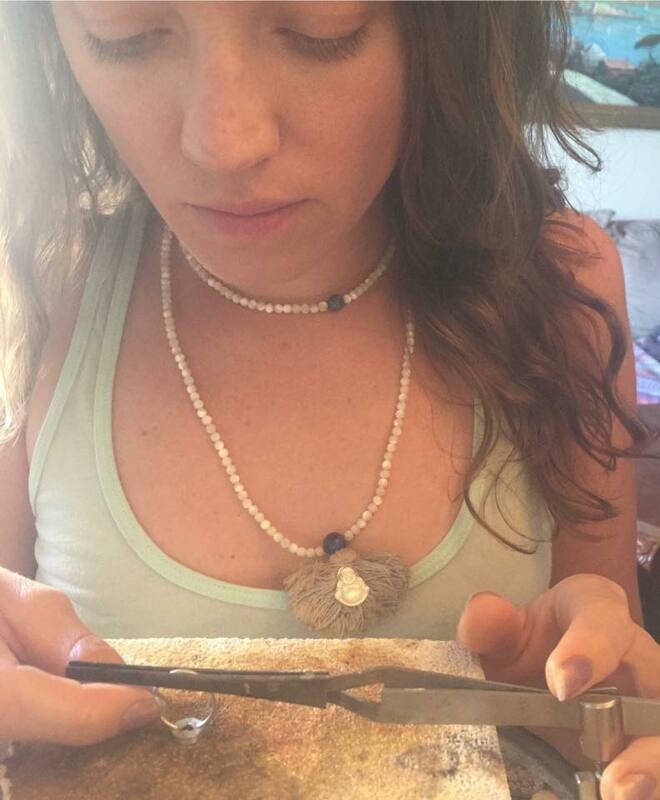 When I was 16, I started studying gemstones. 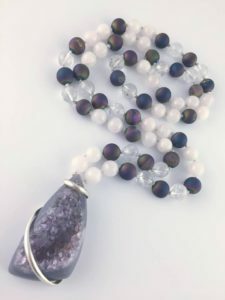 There were a lot of local gemstones in Michigan that you could collect, in particular Petoskey stones, and we used to collect them all the time as part of our zen routine. I’m a Capricorn through and through, an earth sign, so I’m very connected to the earth. Jewelry stuck with me. It’s way more than just a material item. It’s a way to tell a story. When designing jewelry, whether for the boutique or for someone in particular, I go by what the individual may be going through and what she needs in her life. Then I create. I think about humans’ fundamental beliefs and needs and what we need to move forward in this life. Most people need safety, security, being grounded to the earth. I look for gemstones that are extremely healing and that bring people closer to their center. Jewelry is essentially something to elevate someone’s spirit. And to create a conversation between people. I think that’s really important. You know when someone says, “Oh, I think that’s really nice, where’d you get that?” I think there’s a conversation there. We get so caught up in our own life. It’s a chance to connect with other people. It’s also been extremely healing for me. I’m blessed to be able to create with nature every day. You’ll see a lot of amethyst in my work. It’s the stone of self acceptance and recovery. A large majority of us are suffering from addiction of some sort, whether lack of love or feeling not good enough. We have really harsh tones in our brain. Amethyst is a stone that I go to because it creates the ability to let go of that and be in your true self. Abalone shell is also known for its healing properties. It’s a traditional ceremonial thing that when you put abalone in a stream of water, such as a river, it allows you to go with the flow of life. It also creates abundance. Another is rose quartz, a forever healing love stone. It’s always spoken to me, even when I was little. Yoga has been part of such a great transformational experience for me. I started practicing 10 years ago and it created a new awareness about myself that I didn’t know I needed. I got to see my habits and also how other people see the world and not put judgement on any of that. And I call that yoga. It’s hard to put into words what yoga has really done for me. Yoga has brought me closer to the source. The source to me is love. When I practice, I focus on shedding old patterns, beliefs and pain that no longer serves me or the world around me. I unlearn. I forgive. I listen. I sink into Gaia’s healing embrace. Rooted. This is where I grow into deeper awareness so I can tread even lighter than before. 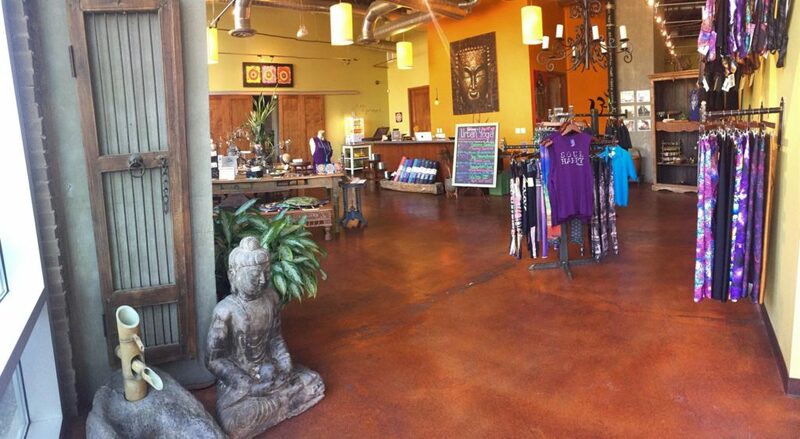 As a member of Urban Yoga—whether you have a 6-month, 1-year, or unlimited membership—you receive a 15% discount on boutique purchases. Our boutique currently features fashions, jewelry, natural skincare products and a rotating array of creations by local artists thanks to Amber, who has brought her inimitable style and grace to every corner of our space. Although yoga teaches us to bring awareness to each moment, it can still be easy to find ourselves in familiar situations and no longer notice what surrounds us, including as you walk through our front door, sign in and make your way to class. Take a moment. Notice the beauty in our boutique. It’s easy to confuse doing yoga poses with doing yoga. In the Yoga Sutras, a collection of short verses on the theory and practice of yoga written centuries ago, the author Patanjali sets forth eight limbs of yoga, only one of which has anything to do with the physical postures. What’s considered far more important than the physical expression of yoga are our thoughts, words and actions and how they align with what’s right. 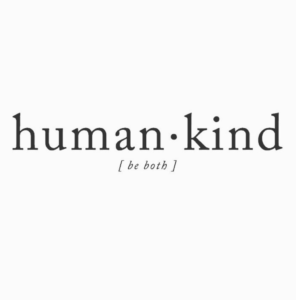 Known collectively as the yamas (pronounced “yah mahz”), these moral standards comprise ahimsa, satya, asteya, aparigraha and brahmacharya, and they basically remind us how to be kind humans. Though these ethical ideals were written centuries ago, they remain as apropos to contemporary life as they were in the days of Sanskrit and gently remind us to be nicer, truer versions of ourselves. The first yama, ahimsa, is typically translated as non-violence. It refers to refraining from inflicting not just physical harm but psychological and emotional harm as well. Ahimsa means bringing respect and compassion to our interactions with others as well as ourselves. Societal injustices are clearly contrary to ahimsa. So, too, are gossiping and criticizing and even harsh self talk. Though this principle has broad implications off the mat, it also applies to our physical practice. Take note, those of you who tend to berate yourself for wobbling in a balancing pose. 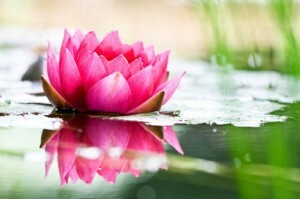 Satya means truthfulness. It encompasses speaking and acting honestly, in relation to others as well as yourself. The objective is to quiet your thoughts and become in touch with your truth, your inner wisdom, and to let your words and actions align with your intentions. Asteya translates literally to non-stealing, which sounds exceptionally easy until you consider it means more than not engaging in petty larceny. Ever find yourself rushing to do just one more thing and, in so doing, running late to meet with someone? That’s stealing someone else’s time. Asteya also applies to those situations when we want to take something that isn’t ours, including when we struggle to achieve a pose but pushing ourselves to go deeper even when our body simply isn’t ready yet. Brahmacharya refers to being moderate as we pursue our desires, drawing on some measure of self-restraint rather than indulging in excess. This applies to all manner of tendencies, whether it’s distracting ourselves with social media or endlessly slaving away at work. It reminds us to ask, in all aspects of life, where do I want to place my energy? And then being disciplined in the pursuit of that. Aparigraha has many translations, among them noncovetousness and nonpossessiveness. It nudges us to let go of attachments and expectations and be grateful for what we have while understanding that life is, by nature, impermanent. What we are graced with in any moment may not last. Aparigraha asks us to be at peace with that. Learn countless other specific ways you can translate ancient yogic wisdom to contemporary times at our upcoming Yoga Philosophy Foundations workshop on Saturday, August 4th, with yoga teacher Brendan Lentz. The workshop is part of an occasional series of classes that addresses how to take yoga out of the studio and into everyday life. 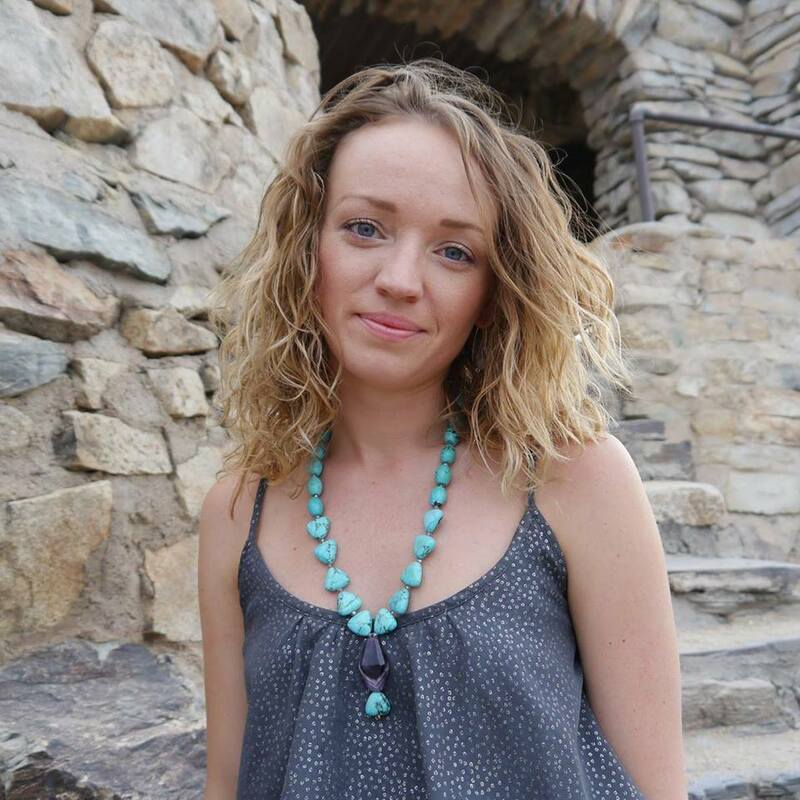 Renee Schettler is a writer, editor and yoga teacher whose practice was turned upside down, or rather right side up, when she moved to Phoenix and began taking class with teachers who emphasized the breath more than the pose. 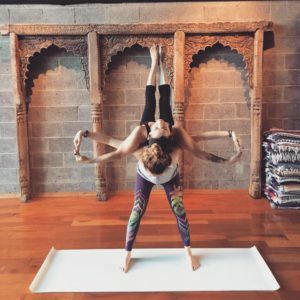 She took Yoga Teacher Training at Urban Yoga and currently teaches the Sunrise Flow at 6 am on Fridays and the Candlelight Flow to Zen at 7:30 pm on Fridays. When Haley Tilden Ritter was four years old, she loved watching Linda Bove, the deaf character on Sesame Street who introduced sign language to children. By the time Haley was eight, she’d taught herself to sign the alphabet, despite the fact that she had no family or friends who were deaf. Her early experience with Sesame Street had spawned a life-long passion for sign language that ultimately led to her career as a professional interpreter for the deaf. Haley is also part of another subculture—the biking community. She helped launch the Tempe Bike Action Committee and, more recently, Phoenix Spokespeople, which are local bike advocacy groups. 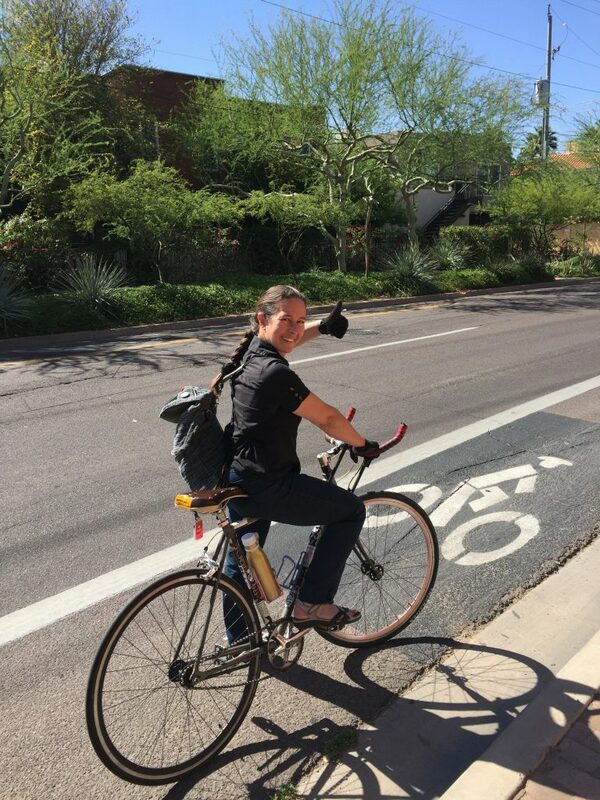 Her passion for creating a more bike-friendly Phoenix didn’t stop there. She’s been recognized as having helped create the Comprehensive Bicycle Master Plan for Phoenix under Phoenix Mayor Greg Stanton. Haley has also been known to appear at city council meetings and successfully persuade city planners to revise street plans to include better bike access. You can thank Haley for the bike lane on Indian School between the I-17 and 19th Avenue. If you want to make a difference, Haley says, all you have to do it show up. “Meet the officials in charge. Tell them you’d like to see more bike lanes. They’re open to hearing citizen input.” In terms of making a difference regarding bike access, Haley recommends going to the Transportation and Infrastructure subcommittee that meets the second Tuesday of each month at 9 am. The story with Linda Bove doesn’t end with Sesame Street. It turns out Linda now lives in the Phoenix area. Haley recently met her at a conference and got the chance to thank her childhood hero in person. Linda was warm and gracious. Haley explained that she works as an interpreter and, when Linda had a medical appointment and needed an interpreter, guess who got the job? You’ll catch Haley attending Urban Yoga classes at all different hours of the day in between cycling around town serving as an interpreter for various clients. When you see her say hello. Better yet, sign it. Introducing Urban Mysore starting August 13, 2017! Mysore-Style Ashtanga classes are now available as part of your Urban Yoga Membership or Class Package. Starting Sunday, August 13, 2017, Urban Mysore kicks off with a Sunday Ashtanga Led Primary class at 8am to start the week. The Sunday Ashtanga Led Primary class provides Urban Yoga practitioners another opportunity for Ashtanga Primary series practice. Urban Mysore classes start Monday, August 14, 2017 and are scheduled from 5-8am Monday through Thursday. Urban Yoga now offers Mysore Ashtanga Monday through Thursday and Ashtanga Led Primary Series Tuesday, Thursday, Friday and Sunday. Check our schedule to see which class fits your schedule best. 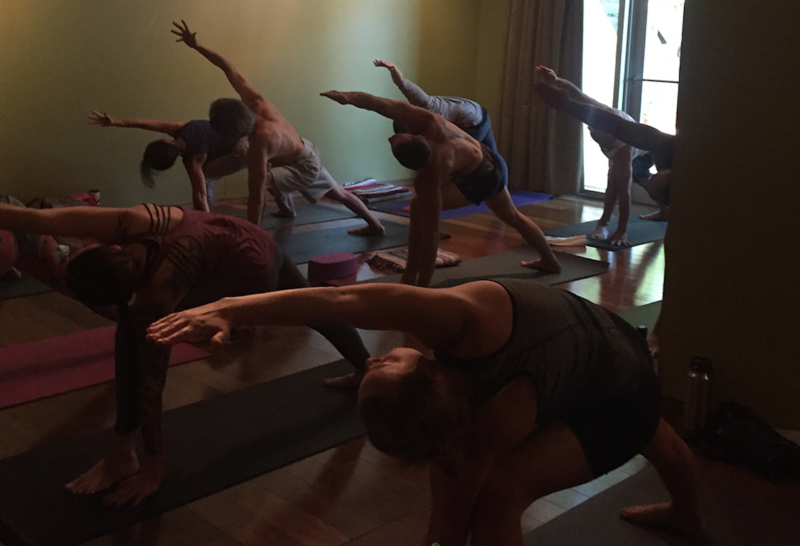 If you have been wanting to try Mysore Ashtanga, now’s your chance! WHAT IS MYSORE-STYLE ASHTANGA YOGA? Your first walk into the Mysore room may surprise you. One student might be in headstand while another could be bending into the triangle posture and yet another pushing up to balance on her arms. It may appear chaotic, but after closer inspection you will begin to notice the practice patterns. 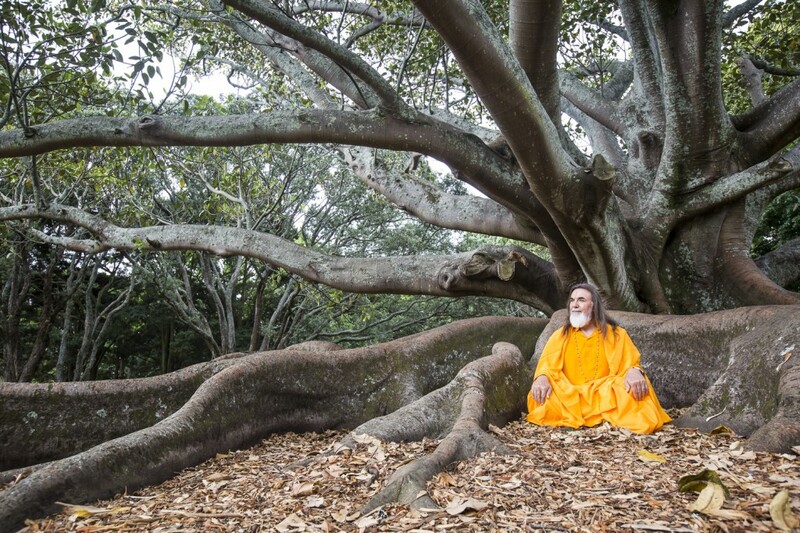 Each practitioner is at their own place on a precisely choreographed path. The rhythmic breathing is striking, with only the occasionally verbal cues from the teacher rising above the dominant sound of the collective breath. You’ll notice the teacher move swiftly from student to student, giving adjustments and cues as appropriate. 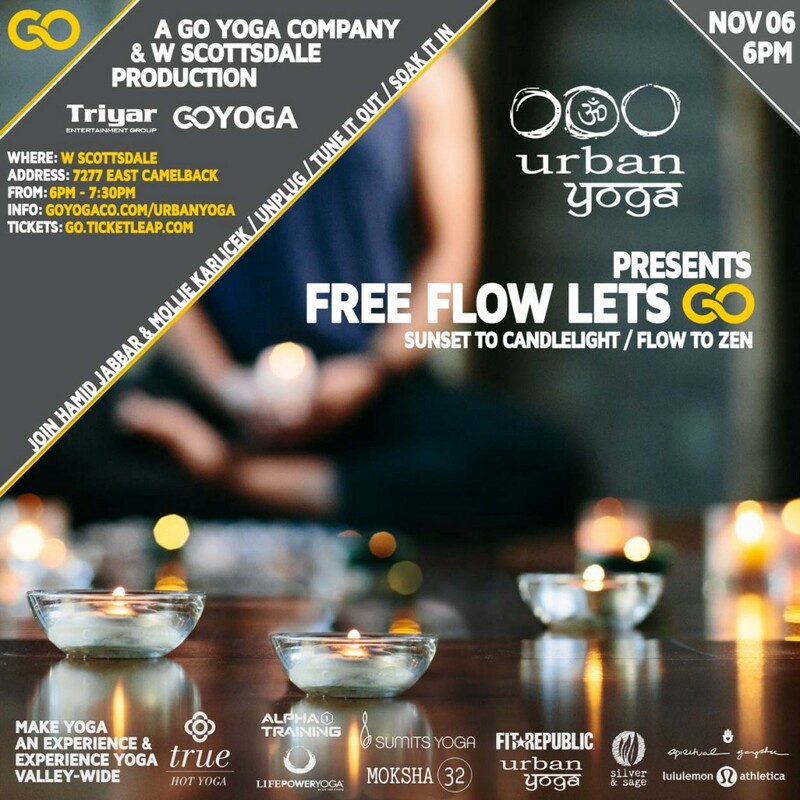 If you have an existing Mysore practice, please join us for a morning practice at Urban Yoga. If you are unfamiliar with the Mysore style Ashtanga practice but would like to start, the teacher will guide you through your first practice according to your ability. Each of the postures in the Mysore series is designed to prepare you for the rest of the series. Your first practice sessions may be short, but you will easily learn the series and progress according to your ability. As you gain strength, stamina, flexibility and concentration, you will be guided deeper into the practice by the teacher. With commitment, patience, and persistence, you will be amazed at how your Mysore practice will change your body and spirit. The Mysore practice room is open between 5:00 am and 8:00 am Monday – Thursday. The Mysore Ashtanga method is intended to be a daily practice and students are encouraged to make a commitment to practice at least 3 times a week for a month. Traditionally Mysore practice occurs 5 days during the week with an Ashtanga Led Primary class on the weekend. We rest on Moon Days which occur about twice monthly. At first you may have difficulty practicing more than a few times a week, but don’t be discouraged. The Mysore style practice often takes a year or more to develop. Comments Off on Introducing Urban Mysore starting August 13, 2017! Today our attitude exercise is practicing random acts of kindness. Everything can be done with a smile, softness, and compassion. Most of us go through life thinking, acting, and being with some kind of expectation or self-reward in the back of our minds. It’s an interesting place of self-discovery to observe, witness and honor what expectations we have of others and how they guide our decision making. Today let’s be in the world interacting with our fellow travelers simply for the sake of existing in this life together. Let’s give everything we have, our love, time, and care and expect absolutely nothing in return. This could mean smiling more, anonymously buying a person’s coffee, helping a stranger in need of assistance, or just listening (really listening) when another is speaking to you. For me it’s often easier to be kind to strangers and a challenge to genuinely kind to people close to me. Explore this. As you go through your day get curious about your motives. Ask yourself what you expect to gain. Then let the expectation go. Act for the sake of acting, do for the sake of doing. Be for the sake of being. At the end of the day sit and reflect on your experience. Explore your resistance as well as any shifts that may have occurred. I think the ultimate act of kindness is doing something without expectation of something in return. I have been practicing my own version of this for a few weeks and the result has been more freedom in my life. Acting without expectation, being for the sake of being has allowed me new space mentally free from disappointment and feelings of being “let down”. It has created peace and ease in my relationships allowing me to honor you being you as I am me. It has opened a softness and tenderness in my heart. It has been the ultimate kindness to myself. The simple fact that we are alive and breathing is a gift. An attitude of gratitude is often the one single shift that can transform any experience. I say thank you many times a day. Sometimes without connecting to the essence of the words or even looking the person I am thanking in the eye. I try to be as conscious of this as I can, but like many, my mind is distracted, I am multi-tasking, and I am saying these words on auto-pilot. What people, places, things, from 2014 are you grateful for? Today try creating a connection as you say thank you. Stop, breathe, look into a person’s eyes, say and feel the words. Today try feeling gratitude for as much as possible. Say thank you to yourself and to the divine though out your day. Say thank you for every parking spot you find, every trip you make in your car that got you where you needed to go safely, your morning coffee, your warm, cozy sweater, your opportunity to practice yoga or exercise, your teachers, finding a pen when you need one, the food you eat, your children, family, pets, neighbors, co-workers, say thank you and feel it for as much as possible today. Find a comfortable seat and connect to your breath. Relax your body, lengthen your spine. Begin to observe your breath. Now, equal the length of your inhales and exhales. You can count the breath if it is helpful, inhaling a count of four, exhaling a count of four. Do this for a minute or more. Next, bring to mind the essence of gratitude. Notice how it feels in your body. Bring the feeling of gratitude into you body. Feel thankful in your toes, your feet, your shins and calves. Grateful knees, thighs, hips, and glutes. The belly is soft, the breath is soft, receiving gratitude. Thankful stomach, liver, intestines. Breathe gratitude into your lungs. Grateful, full heart, throat, and neck. Fill the muscles of your face with gratitude. Notice how the corners of your mouth may even turn up a bit. Grateful teeth, nose, ears, eyes, eyelashes, and eyebrows. Feel thankful in every cell and fiber of your being, your bones, muscles, skin and hair. Allow gratitude to fill you from the bottoms of your feet all the way to the crown of your head. Now sit for a moment in this space, full of thanks, full of love. Breathe into it and expand out from it. The gratitude jar. At the end of your day, or throughout your day, write down at least one experience you are grateful for and slip it in the jar. I have always wanted to do this and am excited to start. I am planning on bringing my tiny humans into the practice with me, the world from the eyes of a three year old and a seven year old is truly filled with wonder and quite hilarious! The second option is to write three things in your journal you are grateful for. This practice has always worked for me in the morning. It really helps to set the tone for my day, but feel free to do it whenever you can!!! Have fun, smile, and spread the good vibes of genuine thanks today!! 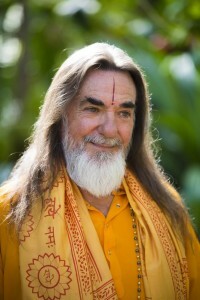 The niyamas are the counterpart to the yamas. The yamas are the guidelines prescribed to yogis to co-exist in the world. 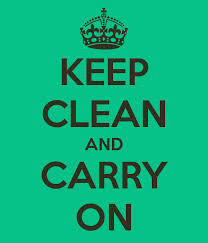 The niyamas are the guidelines prescribed for ourselves. The yamas apply to our relationship with the world. The niyamas apply to our relationship with ourselves. It is easy for me to take a good hard look at the way I exist in the world. Taking a good hard look in the mirror, now that can be intimidating. I mean who of us really wants to admit our faults, to be open and honest with ourselves, take accountability and responsibility for own happiness and the quality of our lives? “Resist what is resisting you and become yourself.” This is a quote from the Mahabarata, an ancient Indian text from which the Bhagavad Gita is but a chapter. The niyamas are an invitation to explore resistance within ourselves. By examining the hows, whats, and whys, of whatever brings us out of our authenticity we are better equipped to move forward along the lines of personal transformation. Winter is upon us here in Phoenix. This is a time of self-reflection, of turning in. Let’s take this journey of self-discovery together yogis. Stay tuned to our blog for more on the niyamas. Stay tuned to yourself for more information on how to grow, flourish, and thrive, through your personal exploration of these principles. Satya, the second yama, is defined as truth in speech, thought, and action. Speaking in terms of opposites, satya is not lying, exaggerating, and not playing into sarcasm. These four rules of speech can help to dictate when, how, and why we should speak. Satya is very much about speaking our truth. The other side of satya is knowing when to honor silence, and refrain from speaking. Is it kind? This principle is founded on ahimsa, non-violence. Will my speech hurt another person? Is it necessary? Does what I have to say really need to be expressed? I like to think of this as the “having the last word clause.” Often we say things just because, or to get the last word. This is a reminder that silence is golden and can carry much more weight than words expressed out of anger, frustration, or discontent. Is it honest? This speaks for itself, bit also goes into little white lies, exaggeration, and the ways we spin our versions of the truth. The truth speaks for itself and does not need embellishments. Does it improve upon the silence? Does what we say make a difference in any situation? This can be translated to how we inter-act with others and also the conversations we have with ourselves. Gossiping, sarcasm, negative self talk, judgments and criticisms are all examples of speech that do not serve any party involved. This being said, I will allow satya to guide me in saying that not every situation in life is worthy of talk about sunshine and rainbows. Sometimes you have to hash it out, life can be intense. Even in these moments, satya allows us to speak our truth from a place of reflection and clarity that allows us the wisdom of knowing that our truth is enough, without embellishments, over-simplifying, or over-reacting. Here’s to speaking your truth with the wisdom that it is enough, because you are enough!! Ahimsa is non-violence in thought, word and deed. 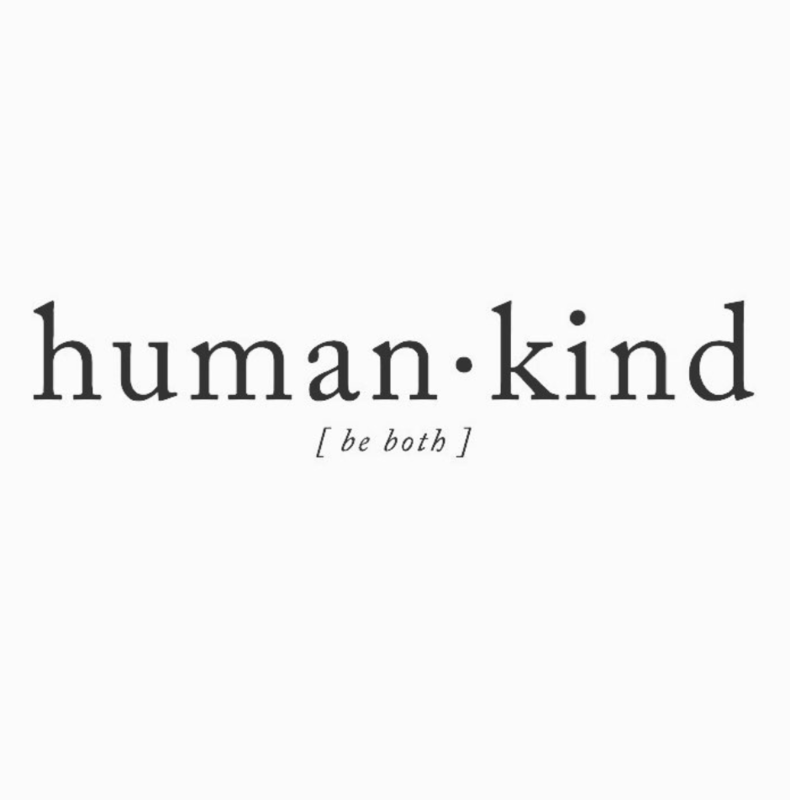 Thinking in opposites, it can be defined as kindness, love, and compassion. What does ahimsa look like on the mat? How can we embody and actually live this practice? It is revealed as going at your own pace, letting your breath guide your practice, not over exerting. A balanced yoga practice is equal parts effort and surrender. We set ourselves up with optimal alignment to encourage a sense of effortlessness and freedom in the pose. Let’s take a look at a pose and as they say, break it down. Using a block. Place the block on the outer edge of your front foot. If you are unable to reach the block, keep the bottom hand on your front hip. Finding a drishti (gaze) that works for your body, either at the floor, straight ahead, or up at the hand. Bring awareness to the back of the neck, and imagine lengthening, this can be done by drawing the chin slightly in and bringing the sides of the neck back. The tendency here is to roll the top should onto the back, focusing on opening more from the chest and shoulders. Instead, extend the top arm up, plugging the blade onto the back. You should be able to see the palm overhead, with out torking your neck. To work more on opening, try turning your navel more to the ceiling, allowing the effort to come from the inside as opposed to muscling into it. The most valuable indicator of whether or not ahimsa is guiding our practice is the breath. The breath should stay steady and even. If it becomes labored in any way, that is information that your practice is not acting in the most fulfilling way for you. How can you modify, soften, or adjust where you are in this moment, to allow for a connection to your inhale and exhale? Sometimes, the sweetest thing we can do for ourselves is to take a moment, and find child’s pose until we feel as if the breath is breathing us. When that remembering happens, get back into class, and begin again. Ahimsa on the mat sets the foundation for trust, in ourselves, our body, and our breath. This trust cultivates a sense of ease on the mat that ripples back out into our lives. Ahimsa on the mat allows us to each shine in our own unique way, honoring that we are all on different paths but our journey is the same. We are coming back home to ourselves, a million shining stars, lighting the same bright sky. If you’d like to hear more from Kim like her Facebook page, Paleoyogamom. In the most traditional sense, ahimsa refers to maintaining a vegetarian diet. The premise of which being non-killing and non- harming of another living creature to sustain one’s self. Personally, I don’t believe in blanket statements, such as, all people should be vegetarian. If that diet works for you to maintain health then yes, it is a beautiful option. However, for many people, this is not the case. There is a way to practice ahimsa even for the carnivores out there. The first step is to make mindful decisions when grocery shopping. You can also sing your favorite mantra while cooking to infuse the food being prepared with all of potency of that mantra. Always pray, and be thankful for the animals that have died so we can live. You could even do a little reiki over your meal before you eat. Ahimsa also refers to right action and right speech. Obviously, treat people kindly with respect. On another level, and perhaps the most important level, treat yourself with kindness and respect. The way we treat and interact with other people is a reflection of how we treat ourselves. Ahimsa on the mat reflects ahimsa off the mat, showing up as acceptance and non-judgement in your practice. This means not comparing in class, and letting your practice be your own, guided by your breath and inner knowing. This also means not pushing or practicing in an overly aggressive way. Yoga is an equal balance of action and surrender. Listen to your body, dull and achy is acceptable, sharp and acute pain is never necessary. If the breath becomes labored, static, or not easily accessible, that is valuable information to you, from you, somewhere there is a disconnect. Take a break, slow down, or rest in child’s pose. Overtime, ahimsa will guide you back to trusting yourself, and the wisdom that exists within your body and breath. Yoga is ultimately the practice of breath and asana combined to create shifts that allow us to see beyond our limitations and illusions, revealing our true nature, limitless joy, love, steadiness and ease. By embodying ahimsa, we allow this process to be fueled by love and compassion. When we bring these qualities to ourselves first, they begin to ripple out into all areas of our lives, improving the quality of not only our personal life, but also every person we come into contact with. Everyone benefits from the practice of ahimsa.